We know how much you care about your vehicle. So, when it’s time for you to head to the service center for some routine maintenance, make sure you’re equipped with plenty of knowledge about all the different inspections and procedures your car will undergo. In addition, this FREE eBook comes packed with a collection of convenient coupons that’ll save you some cash on your next visit to the service center. 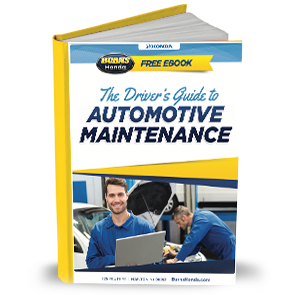 Why wait to take advantage of the perks contained inside The Driver’s Guide to Automotive Maintenance eBook? Start your journey by clicking the download link and reading through the handy tips in this guide today! Before long, you’ll be an automotive maintenance expert.